If you have any questions or need additional information about our current positions, please contact Kayla Atwell please call 859-899-0202. Healthcare Insurance Billing Team Lead/Trainer: The Credit Solutions Insurance Team is looking for an Insurance Billing Team Lead/Trainer with the following qualifications: insurance billing, correcting claims, filing/refiling claims, understanding denials, coding knowledge, and training. If you possess all of these qualifications, please follow the link listed above to apply! Client Support Specialist: Successful candidates must have strong attention to detail, excellent math skills, fast paced, multi-tasker, and a very quick learner, they must also be very focused. This position will be responsible for posting payments, balancing, helping with account reconciliations, and will be working in other client systems. This is a Monday-Friday 8:00am to 5:00pm position. 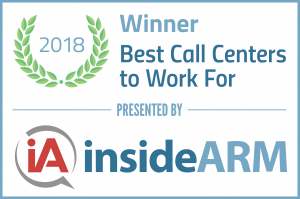 Healthcare Customer Service Representatives: Candidates will need to have the ability to multi-task in a fast paced environment, be self motivated, a team player, and to take a personable approach in delivering excellent customer service skills to our patients when explaining patient billing. Healthcare Billing/Insurance Follow Up Specialist: Needed for our healthcare Extended Business Office. Successful candidates must have experience billing in a hospital setting, conducting follow up with insurance companies, and posting payments. Experience in a call center environment is preferred but not required. Medical Collection Specialists: Successful candidates must have experience with sales, collections, and payment negotiations. Healthcare background is preferred; experience in a call center environment also preferred. We offer a competitive base pay, commission structure, and the opportunity to earn bonuses. Commercial Collection Specialists: Successful candidates must have experience in sales, and payment negotiations. Telecommunications background is preferred; experience in a call center environment also preferred. We offer a competitive base pay, commission structure, and the opportunity for bonuses. All of our positions are Full Time, Benefit Eligible. We offer Medical/Dental/Vision, Employer Paid Life Insurance, available to you after 60 days, Safe Harbor 401k, Supplemental Insurance plans through Aflac, monthly Gym Membership Reimbursements, Paid Time Off, and a variety of employee activities!